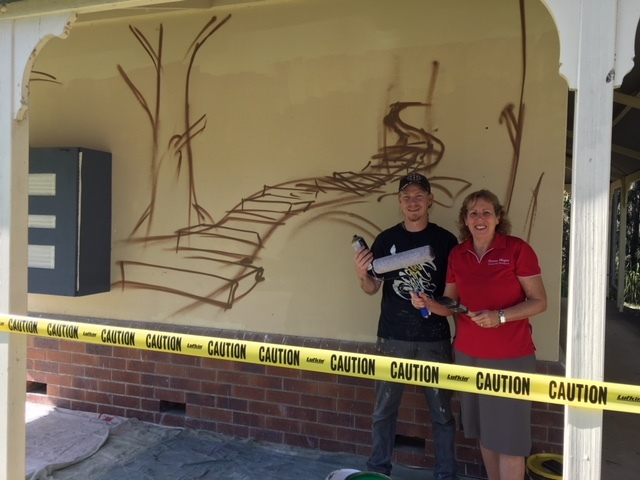 Redland City Council is trialing a new approach to curbing graffiti in our public areas while giving our local parks a facelift at the same time. Redland City Mayor, Karen Williams said the Montgomery Park at Wellington Point is one of two selected in the region for a makeover. “We chose two parks, the second being William Stewart Park at Thornlands, which are in constant need of cleaning of unsightly graffiti and tagging. “Then we commissioned local graffiti artist Ben Stand to incorporate his designs as a cost effective solution,” Cr Williams said. “There is a hierarchy within the graffiti sub-culture where respect is given to artwork created by other graffiti artists, and we are hoping that Ben’s artwork in these parks will deter tagging. 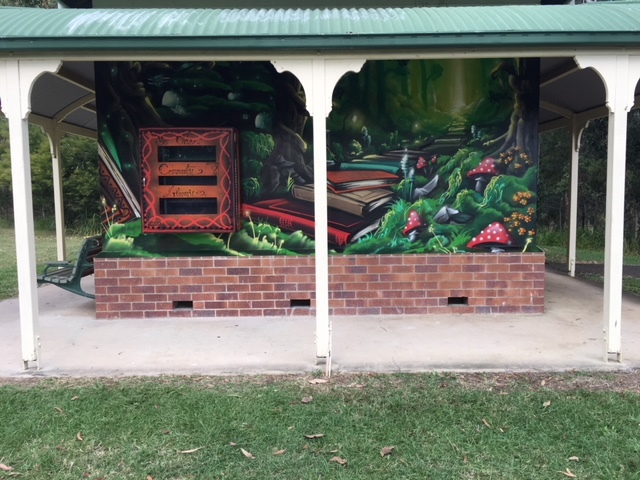 Division 8 Councillor, Tracey Huges said she encouraged local residents to visit the newly upgraded Montgomery Park, borrow a book and replace it with another, and enjoy the beautiful surrounds. “When local Alexandra Hills resident, Edna Searle contacted me with her vision for a community library, I jumped at the chance to get it happening. “I shared Edna’s vision with the Alexandra Hills Men’s Shed who supported the project whole-heartedly. “I’d like to thank the many people involved in bringing the project to life, particularly Chris Mirow, one of the talented Men’s Shed members, who took charge of the manufacture of the metal library, donating his time and materials for the project. “Ben and I then collaborated on the vision of a mystical fairy theme and an enchanted garden,” Cr Huges said. “His masterpiece even included a beautiful fairy, at the request of a small girl watching Ben paint.